Audi E-tron Interior, Sat Nav, Dashboard | What Car? Standard equipment includes electrically adjustable front seats with four-way lumbar support and a memory function for the driver. Allied to a steering wheel that has a good range of adjustment too, it means you’ll find it’s easy to get comfortable and stay that way even after a few hours behind the wheel. There’s also a 12.3in digital display instead of traditional instruments, with this able to display a wide variety of data clearly. Unfortunately, the climate control is adjusted via a touchscreen that’s mounted low on the centre console, which means you’re forced to take your eyes off the road to use it. To make matters worse, the touchscreen itself isn’t especially responsive. Forward visibility is good, aided by bright LED headlights and the fact you sit high; certainly higher than you do in the Jaguar I-Pace. And, while the rear pillars are quite thick, parking sensors and a rear-view camera are fitted to all models, with a 360deg camera available as an option. As we mentioned earlier, you can also specify Virtual Door Mirrors, which see the conventional mirrors replaced by cameras mounted on the doors. These display their images on door-mounted screens that are positioned a little lower than they ideally would be. 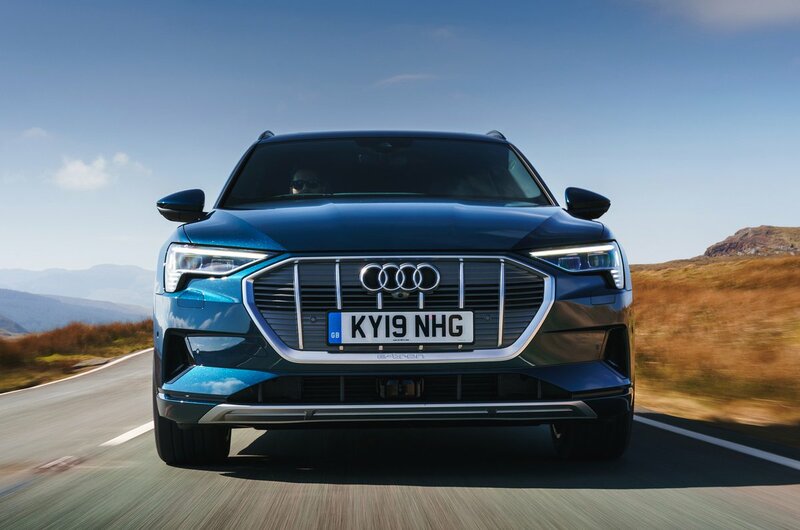 A second, 10.1in touchscreen can be found above the E-tron’s climate control panel, giving you access to the stereo, phone, sat-nav and vehicle settings. With menus that are logically laid out, it’s an arrangement that works well when the car is stationary. However, finding the correct area of the screen to press when switching between functions is quite distracting when driving. Physical buttons and dials would make life easier. 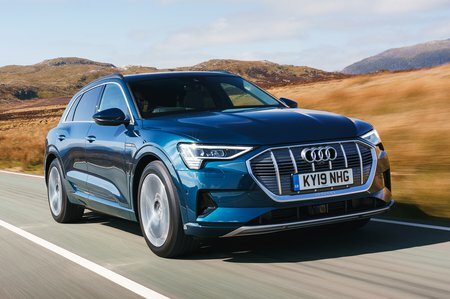 Audi is famous for the quality of its interiors, and the E-tron fully lives up to that reputation. 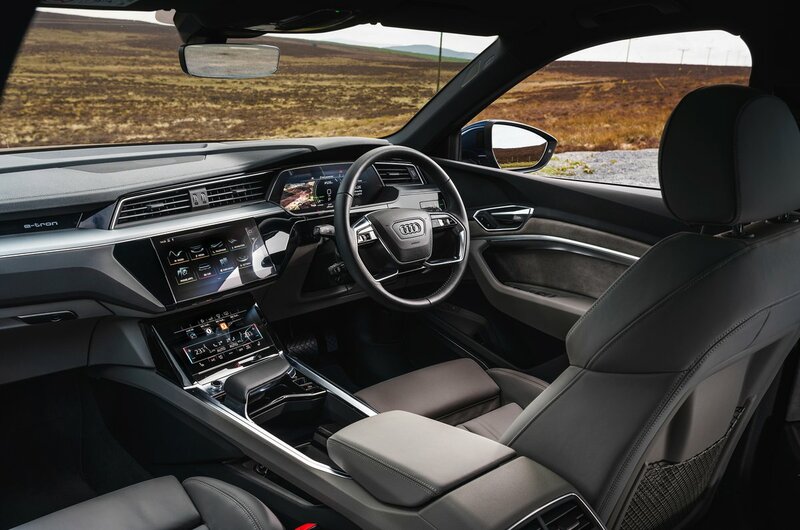 Not only does the dual-touchscreen layout provide plenty of visual wow factor, but it's backed up by tactile, soft-touch plastics, glitzy trims, chrome highlights and lashings of leather. If that isn’t enough, you can opt for softer hide and choose to have additional interior surfaces clad in it. While there aren’t many traditional buttons in the E-tron’s high-tech interior, those you do get all click precisely and satisfyingly.